Another news round-up, this time for everything received since last months one. First up horror legend Dee Wallace (Critters, Red Christmas) has joined the cast of DEAD Afterlife. The cast for this already included Michael Berryman (The Hills Have Eyes), Bill Moseley (The Devil's Rejects, Texas Chainsaw Massacre: Part 2), Kane Hodder (Friday the 13th series), and Bill Oberst Jr (Coyote, DIS). It sounded exciting already just reading this list of iconic names. The film itself has been described as 'Night of the Living Dead meets Heaven Can Wait', and has an interesting story. Donald has been murdered and has became a ghost. At his funeral he is shocked to see his corpse come to life and start eating his friends and family. Now he has limited time to stop his zombie body or his soul won't be able to get to Heaven. 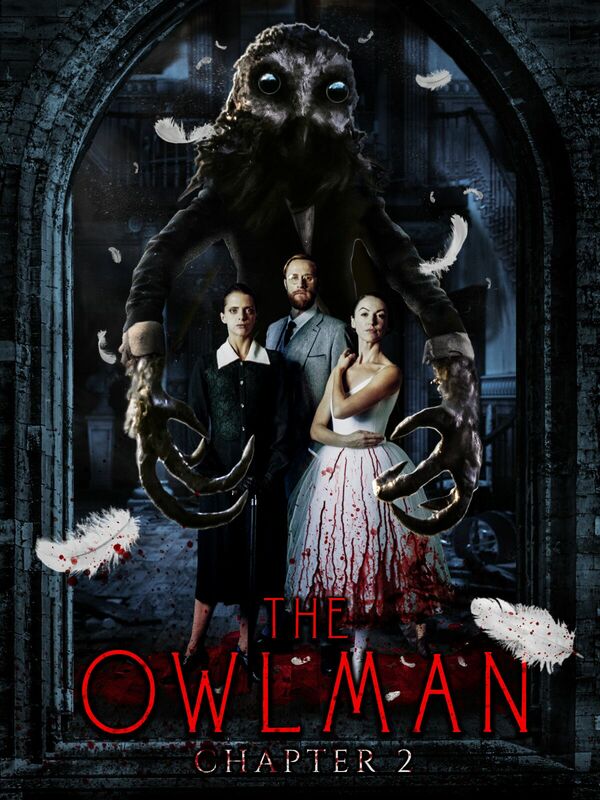 A new poster has been released for The Owlman: Chapter 2 (also known as The Black Gloves) which obviously now implicitly states this is a continuation of the Owlman saga (after Lord of Tears). The film that is a prequel set in the 1940's is due for a Spring 2018 release and can be preordered here. Eric Red (Body Parts, Bad Moon) has teamed up with the Horror Equity Fund for his new horror movie White Knuckle. This film tells a story about a woman who survives a serial killer attack and decides to stop him from ever hurting anyone else. A teaser trailer for upcoming horror Five Wild Animals has been released. Written and directed by Blair Hoyle (Happy Endings Are A Rarity) this is about a group of friends who travel to a small mountain town for a Halloween party, but instead find themselves the victims of an ancient ritual. The guest judges for the 2018 Fractured Visions Film Festival are now known. These include Chris Crow, Dominic Brunt (Before Dawn), Giles Edwards, Shelagh Rowan-Legg, Emma Dark (Seize the Night), Diego Lopez, Richard Elliott, James Blower, Richard Geddes and Jay Kay. Flesh of the Void is due to release on DVD - here (and a very limited VHS run - here). Pre sales started February 10th with normal sales from March 9th. The film is described as a 'grotesque and depraved depiction of what the act of dying could feel like. This was shot on Super 8 and 16mm and has caused some controversy. Apparently director James Quinn has been accused of devil worship among other things, and Sodom & Chimera Productions official website apparently got hacked four times by a radical Christian group in protest of this movie! There is an Indie-GoGo campaign running at the moment to raise funds to make Scottish post-apocalyptic thriller Ribbons. This is to sar Shauna Macdonald (The Descent, Star Wars: The Last Jedi) and tells the story of 5 houseguests locked in a basement during the onset of nuclear apocalypse. This is to be made on a micro budget with the filming to take place over just 4 days. They are looking to raise £5,000, currently £1,951 has been raised with 6 days left. if you want to contribute then head to their page here. Video game news now with Snail Games announcing that VR multiplayer game ARK Park (based on survival game ARK: Survival Evolved) is going to be released on March 22nd. This sounds similar in idea to Jurassic Park and has you exploring a functioning dinosaur theme park. As well as exploration mode there is also a story mode in which you must defend your base from rampaging dinosaurs. This is due for release on Steam VR/HTC Vive, PSVR, and Oculus Rift, check out the trailer below. Finally onto music news. Ludovico Technique have a new video for their single Absence, this was released on my birthday (13th February). That's all the news for this month, all light on details but I do what I can.